Hosted PBX vs. 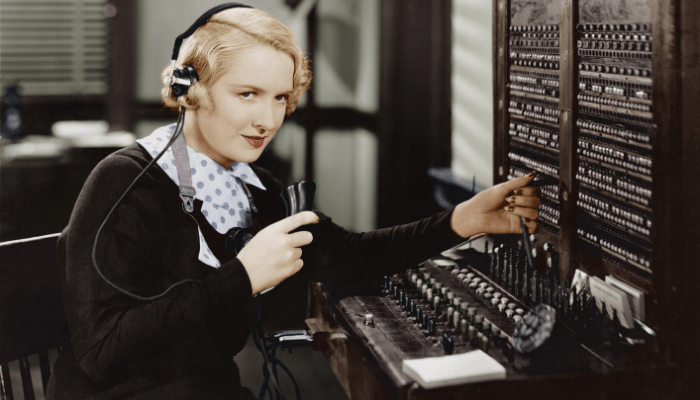 Traditional On-Premise PBX: Which is Best? Imagine, if you will, the old-fashioned telephone switchboard, with a live operator fiddling with analog levers, switches and plugs to connect calls. It’s a stereotypical image to be sure, but it's nonetheless effective for introducing the concept of a manned switchboard with multiple lines and any number of calls that require fielding. Nowadays, businesses use the modern equivalent of that kind of system, opting for multi-extension phone lines rather than using several individual lines. This contemporary system, called the "private branch exchange" (PBX) doesn’t require live operators anymore, although in many cases a receptionist is available to manually direct calls from those who don’t know how to reach the person they're trying to speak with. The question that arises now, however, is whether that PBX serves a company best in the traditional mode, as described above, or whether it makes more sense to turn to a Hosted PBX system, which removes the PBX equipment from your premises. 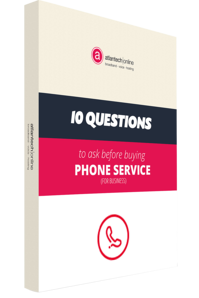 Either way, your telephone calls will be answered, so what's the best way to go about choosing? Of course, it goes without saying that each company has different needs and what works best for one company is not going to be the best solution for another. Let’s consider the advantages and disadvantages of each approach, so you can weigh the pros and cons to determine the best solution for your company. When you house your own PBX on site, you have more control. The phone line and its various extensions are solely under the management of your company. This is the primary advantage that attracts most people who choose traditional PBXs, but there are additional advantages as well. Because the system is your own, you can modify it as needed, which may be particularly valuable if your phone needs are especially complex or dynamic. If you have the need for many phone lines, it is recommended to get a PRI ("primary rate interface") for greater efficiency in phone line usage. Integration with your existing CRM platform can be smooth, too, because an in-house PBX is typically designed to work well with all of the tech tools that your company depends on. This should give you access to some best-in-breed functionality. Moreover, an in-house PBX is the best option for businesses with large centralized workforce that has specialized needs. Once you exceed a critical mass of extensions (somewhere in the range of 50 or above, depending on the system), in-house PBX starts to be especially cost-effective. When you are the one in charge, the responsibility and maintenance of any type of system falls on your shoulders, and an in-house PBX is no different. If this kind of management is your forte, then you are likely to do fine with it, but for many, the challenge of maintaining and increasing extensions is prohibitively complex. The easy solution is to hire someone to help with the upkeep of your PBX, but even this plan of attack may prove to be inefficient monetarily. In fact, overall budget stress may be the strongest downside when it comes to hosting your own PBX. You’ll incur higher initial charges and setup costs than you would with a hosted system, and you are the one to pay for annual maintenance and periodic upgrades. Plus, you need space for the PBX and need to keep it powered and physically secure. Examine your financial requirements closely before pursuing or abandoning the idea of a Hosted PBX. If your company operates in several locations – or if your business has no headquarters location and your employees all work remotely, for example, or travel extensively – then using a hosted PBX may be an excellent choice for consolidating everyone's phone extensions under one system. Even for one site, however, you can achieve great flexibility when it comes to adding or removing extensions, when a Hosted PBX provider is dedicated to servicing your PBX. A Hosted PBX provider is also responsible for making sure that you are able to make calls uninterrupted in the event of a partial communications outage, and they regularly back up their systems to protect yours. Lastly, the greatest advantage of using a hosted PBX may well be the cost. Industry analysts estimate that setting up hosted PBX costs up to 70% less than implementing an in-house PBX. As low as the initial investment required for a Hosted PBX may be, the ongoing fees to retain the service can be high, particularly after your system exceeds the cost-efficiency threshold of extensions (generally in the range of 40 to 50). Moreover, adding or removing extensions, which is meant to be a simple process through a Hosted PBX, does require some training and is typically done through a browser interface. If you have a tech-adverse staff that are unwilling to acquaint themselves with such an interface, at Hosted PBX may be unsuitable for your organization unless you elect to have the provider maintain the system for you. Also, if you have a high capital investment in a premise-based PBX, it may not make financial sense to scrap it and go to the Hosted PBX model. Using a Hosted PBX that is not "on-net" with your Internet Service Provider should be a decision made with some caution. If your phone calls traverse the public Internet to your Hosted PBX, you introduce the possibility of latency or jitter in your phone calls which manifests itself has poor sound quality. When it's time to decide whether to use Hosted or in-house PBX, there are many factors to consider, from the size of your team and the number of networked locations, to your comfort levels with technical matters and your tolerance for being dependent on service providers. Some of these parameters speak to the nature of your business, while others come down to personal preference. A good consultant can assist you in determining which of these pros and cons outweigh the others, given the specifics of your situation. Any way you cut it, it's a tough choice to make and one that is best tackled with the help of experts. Get all the information you need to make the smartest decision for your business phone service needs.